I recently had the opportunity to visit and view a very large North American vault which changed my perspective on the U.S. financial condition. As you know, when I see something, I generally don’t take it at “face value.” I generally like to see something and “compare it” to something else. To me, everything needs to be “compared” in order to get a true perspective. An example would be a 3 ft. child seeing a 6 ft. adult for the first time and believing that the adult surely must be the fabled Gulliver. As a side note, I was 10 years old in 1970 and got to meet Emerson Boozer and Matt Snell (N.Y. Jets running backs) in person, my perspective at the time was that each one of their thighs was bigger than I was; they were giants beyond my comprehension! One vault room that I viewed was filled with silver, 1,000 oz. bars that were stacked high and right up to the walls. The whole room if it was completely filled may have been able to hold 20 million ounces. The “pile” that I saw was a little over 10 million ounces, I did a little bit of math in my head and to my disappointment the total was only a little over $200 million. I say my “disappointment” because of the “perspective” it gave me. This was a huge stack of silver yet it had such little value. I say “little value” and will get to that in a minute but stay with me. Suffice it to say, this room inside the vault was my “Gulliver” moment. …But, really? The U.S. doesn’t even produce more than $1 billion worth of silver per year? $1 billion? Now, let’s put this in a little perspective. “QE” as you know has been reduced to $55 billion…per month; let’s call this $2 billion per day. Our “debt” is increasing at least $1 trillion per year…or rounded off, $3 billion per day. Let’s add these two “sources” of our “standard of living” and we get 2+3=5…”5″ as in $5 billion per day of either borrowing and or printing “wealth.” If we compare this number of $5 billion per day to the total annual U.S. silver production of $700 million…the U.S. “spends” 7 times each DAY the amount of silver mined in 1 YEAR. Put in final terms, the U.S. “over” spends 2,500 times the amount of silver that it produces. Yes, yes, let’s add in gold too and we still have an “over” spending of 200+ times our mining activity. Please keep in mind that this exercise only accounts for the “over” part of spending and thus only a percentage of “total” spending. And yes I know…I’m an idiot because none of these matters since everyone “knows” that gold and silver aren’t “money” anyways so I am comparing apples to oranges…but am I really? 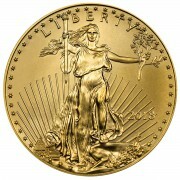 Getting back to silver, did you realize that the U.S. is actually an importer of the metal silver (money)? 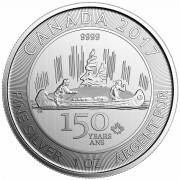 That’s right; we “use” more silver than we produce. In fact, as of 2012, 57% of all the silver used in the U.S. was imported … Another little tidbit that you might not know is about those pretty little Silver Eagle coins that you have bought (or should buy)… more Silver Eagles have been produced and purchased since 2010 than our mines actually produced silver for. Do you see the irony here? 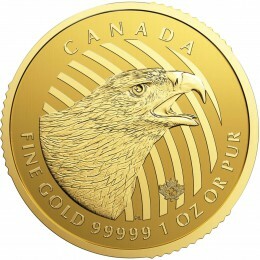 The mint has been selling more Eagles than our mines are producing… oh, but wait, there’s more. 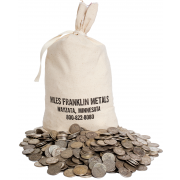 The amounts that the U.S. mint has sold each year have been “rationed” many times. There have been many “halts” to production for weeks at a time. (As a very funny side note, I can still remember Jeff Christian saying that there was “plenty” of gold and silver to be had, it was just that the mint couldn’t get enough “blanks.” At the time (I and several others explained his error to him) he thought that “blanks” were actual “molds or stamps” rather than the blank “rounds” of raw product and that once these were fabricated…the plentiful gold and silver coins would start rolling off the line again!) In any case, think about this, investors are and have been buying more Silver Eagles than ALL of the silver produced in U.S. mines combined. Where is the silver coming from for photography? Mirrors and solar panels, hi tech applications etc.? …We are “importing” it and paying for the imports with …you guessed it, dollars…lots and lots of dollars! I guess the simple and logical question is how will we import needed silver once the dollar is no longer accepted internationally? …But that’s just “crazy thinking” on my part huh? Suffice it to say, I was awed to see so much silver in one place yet also surprised that the U.S. only produces 3 times as much as what I saw in one room in a single year. What really blew my mind was the “minuscule” dollar amount that uses a measly “m” when we now live in a world where “b”s (billions) are thrown around regularly, “t”s (trillions) come up quite often and we now even hear about the dreaded “q” word (quadrillion for total derivatives). To wrap this up, I never really knew just how small that total U.S. silver production really was. Yes, I “knew” but I didn’t really know until I got to see this one single stack of silver with my own eyes for a perspective. Yes it looked like a lot of silver but I could have in the past seen this pile and believed it to be the production from just one company. Once I realized that this pile of metal (x3) was equal to total annual U.S. production…and put a dollar figure on it…now I really get it. There is not that much silver around and from a “dollar” standpoint…it is foolish and CHEAP when compared to the paper outstanding and continually being created! I do not see how there is any way that if production does not equal demand and this demand is continually “stoked” by excessive dollar creation…that price does not absolutely explode from here. This doesn’t even include the documented fact that silver production is slowing because the mines are being forced to produce at a loss…”Price” will be determined by real supply and real demand…the current pricing by COMEX will go down in history as some sort of bad joke on those who never bothered to purchase at COMEX prices. It has been a painful few years, but hopefully the fundamentals will win over the manipulations before long. One thing that stands out to me that many not familiar with, or who do not believe the manipulations don’t consider is that price slams CREATE WEAK HANDS. So many people looking to shelter their wealth in this era of irresponsible government spending and central bank money creation come to see that PMs driven lower via manipulation are not a safe haven and sell. I know you are fully aware of this Bill but put this out there for others to consider how underpriced PMs can be. The question is for how long as it seems more and more likely that the end game will be supply shortages and a disconnect between paper and physical rather than prices rising up to align supply with demand. I plan my next 2 pieces pertaining to just this. Good read and seems very likely you are right. However, those of us that have hung in there for a long time need some kind of ending predication of all of this mess. I can remember back at the dot com time and the fact that I stayed out until the last minute, of course I didn’t know it was the last minute. I stuck my toe in to dot com and lost some money. What I need now is what time this financial fiasco will end. I know nobody knows this exact date, but you in the know must have a better idea than In the next six months or the next two years it may end or may not end. That’s the information that I would like interpreted in all of the gold ans silver analysts. “timing” doesn’t matter…owning it will. What a great way to put in perspective how minuscule the amount of Silver mined is every year in comparison to the amount of money created out of nothing. This comparison is in fact very relevant if you consider that under a silver standard our constitution defines a dollar as containing 371.24 grains of Silver (~0.77 oz.). So if we were to abide by the original silver standard and we only look at the $1 trillion dollars of new debt added, to back that with silver today would require 770 BILLION ounces of silver a year and that does not include any of the additional money printing and future obligations yet needing to be paid. This just shows how worthless the dollar has become compared to its original value when backed by silver. Many of you may have already seen these comparison, but, to get some perspective of what the number “trillion” means: It you counted all the seconds since man became man, you still would not have a trillion seconds. For those of you who do not believe in evolution how about this one: If you had made a million dollars a day, every day, since Jesus walked the earth you would still not have a trillion dollars. Now days politician throw this amount of dollars around like confetti… Uncle Sam: Another year older and a trillion deeper in debt. In less than 15 years, or thereabout. there will not be enough annually mined silver to satisfy industrial demand, much less investment demand. In our techno age, we can live without gold, but we would be hard pressed to live without the most strategically important metal on the planet. I would not be surprised to see the GSR at 1:1 within 10 years. Unless graphene really does explode as a replacement for industrial uses, which I don’t believe but also don’t know enough to say for sure. Take it easy on the quotations. It makes for distracting reading.